Located in St. Charles, Illinois, the Q Center provides lodging and meeting space for seminars and conferences. 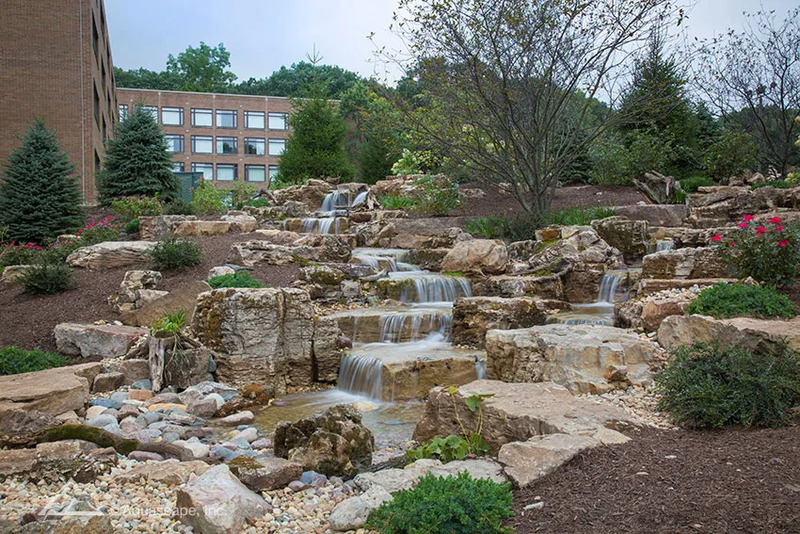 The goal of the stunning waterfall was to create a spectacular view from the windows of meeting rooms and lodging spaces, and to draw visitors and attendees out to the expansive patio for networking and dining. Limestone boulders create two waterfalls converging into one. The waterfall on the left is twice as long as the shorter, steeper waterfall on the right. Underwater LED lighting was added to each waterfall drop for dramatic, nighttime viewing. A local elementary school was interested in creating an interactive garden area for children to learn more about sustainability and the great outdoors. 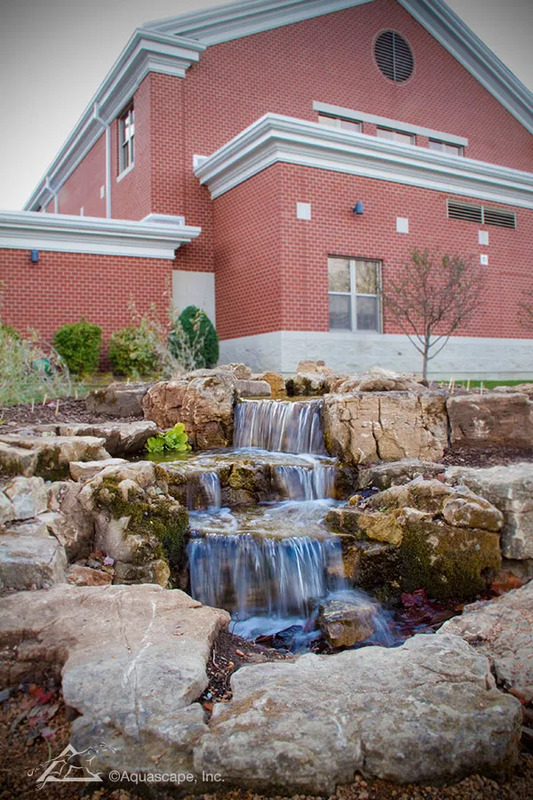 A beautiful Pondless® Waterfall is the main attraction in this unique outdoor classroom that teaches children how to be environmentally responsible. Outdoor classrooms are growing in popularity and water is always an essential addition to the natural learning environment.